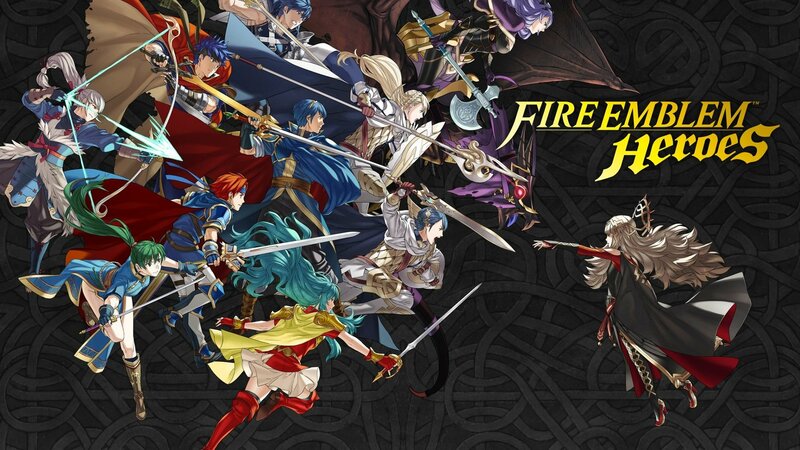 Fire Emblem Heroes crosses over a whole host of other Fire Emblems worlds, providing a scenario for the greatest warriors of the series to cross swords in battle. Now that the mobile game has been out for a fair bit, you've probably collected a veritable army of famous fighters of all shapes and sizes. If you're looking to really create a battalion of the best of the best, then you'll want to know who among your fighters have the best potential from the get-go. Not all fighters are created equal, after all. With that in mind, here are the tiers of Fire Emblem Heroes and the fighters who make them up. Note that, in some cases, the Male / Female variants and the special Spring variants of characters appear on separate tiers. S+ — Azura, Hector, Ike, Linde, Lucina, and Takumi. S — Effie, Eirika, Julia, Kagero, Lucina (Spring Variant), Marth, Ninian, Nino, Nowi, Olivia, Ryoma, Sharena, Tharja, Tiki (Young), and Zephiel. A+ — Abel, Alm, Camilla, Catria, Chrom (Default and Spring Variant), Cordelia, Female Corrin, Eldigan, Ephraim, Karel, Klein, Lilina, Lyn, Minerva, Reinhardt, Male Robin, Sanaki, Soren, and Tiki. A — Anna, Camilla (Spring Variant), Cecilia, Male Corrin, Elise, Eliwood, Fae, Faye, Gordin, Gunter, Hana, Hinoka, Jaffar, Jeorge, Leo, Lissa, Lonqu, Merric, Michalis, Narcian, Navarre, Odin, Ogma, Olwen, Raven, Roy, Saizo, Seliph, Sully, Titania, and Ursula. B — Alfonse, Azama, Barst, Bartre, Caeda, Cain, Cherche, Clair, Clarine, Donnel, Felicia, Fir, Frederick, Gwendolyn, Hawkeye, Henry, Hinata, Jagen, Jakob, Lachesis, Laslow, Lucius, Lukas, Maria, Mist, Palia, Peri, Priscilla, Raigh, Rebecca, Female Robin, Sakura, Selena, Serra, Setsuna, Shanna, Sheena, Stahl, Subaki, Wrys, and Xander (Spring Variant). C — Arthur, Beruka, Draug, Est, Florina, Gaius, Matthew, Niles, Oboro, Sophia, and Virion.